one boy left brown with white markings, picture one looking for his forever home. 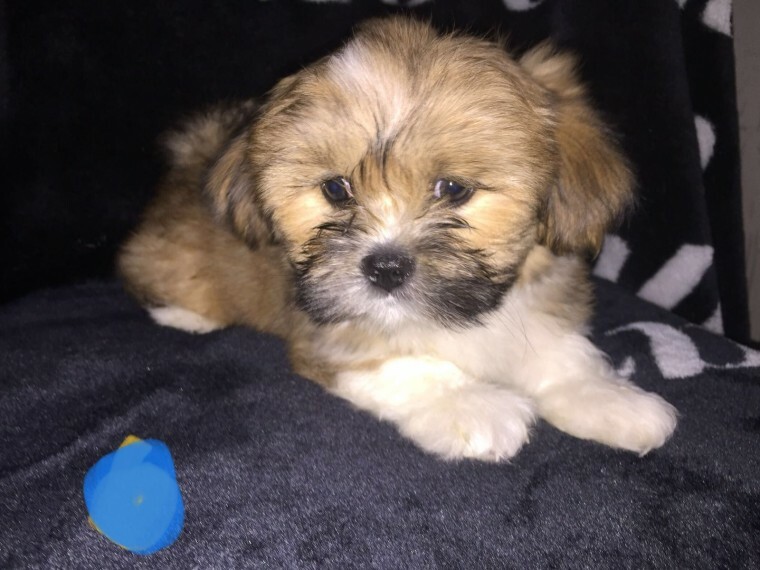 I have 6 stunning Lhasa apso puppies for sale. Born on the 6th January we have 4 boys and two girls waiting for there forever homes. Mum and dad are both family pets and can be seen with pups on viewing. They have been raised in our family home so used to household noises and children. They have been vet checked and come with puppy pack. Viewing welcome to choose your puppy. 150 non refundable deposit to secure chosen puppy.